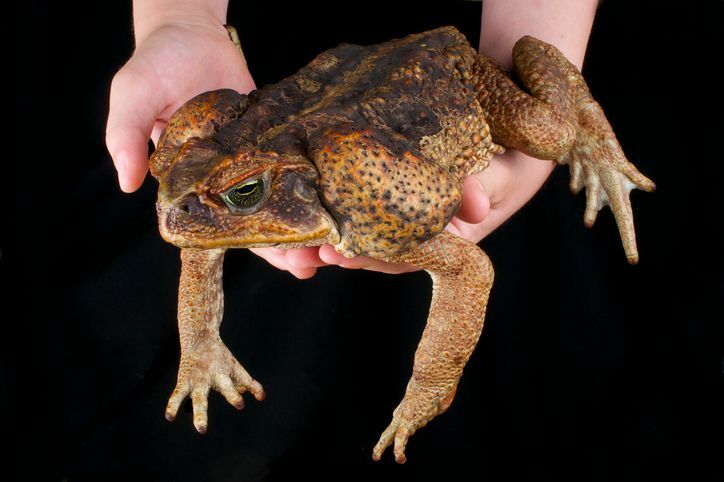 The Cane Toad (pictured above) is native to South and Central America but introduced to Australia and the Caribbean for pest control in sugar cane fields. However, since this amphibian is native to South and Central America it has overrun both Australia and the Caribbean where it has no natural predators. 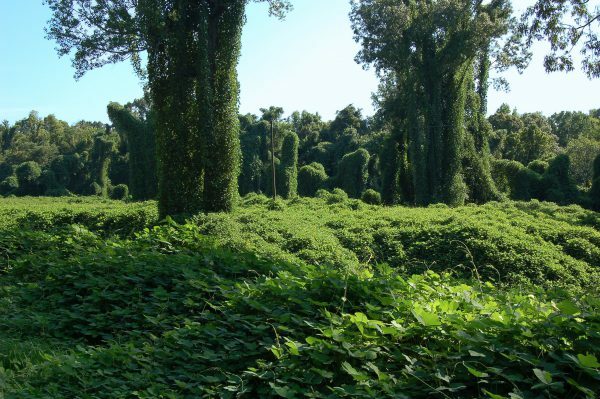 Kudzu, or the "mile-a-minute vine" is native to Japan but was brought to the United States for the Philadelphia Centennial Exposition in 1876. The vine is fast-growing and often used to inhibit soil erosion. The vine is spreading at a rate of about 150,000 acres annually since individual vines can grow more than a foot per day. 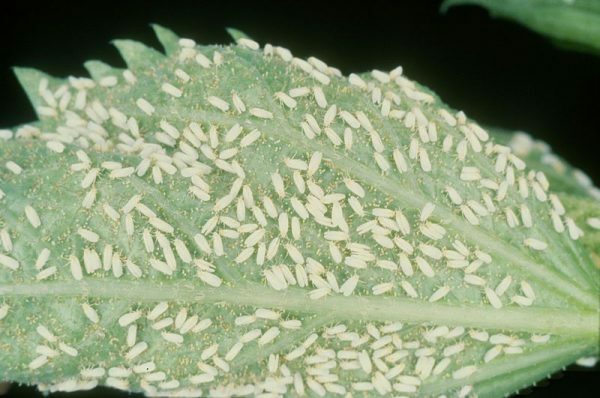 The Cotton Whitefly is known for doing double the damage of your average pest. Not only do they feast on over 900 kinds of plants, they also transmit more than 100 different plant viruses. The flys are believed to have originated in India, however, it is hard to tell since they are now on every continent but Antartica. Common Rabbits are native to Europe and North Africa but they can be found on every continent but Antartica today. 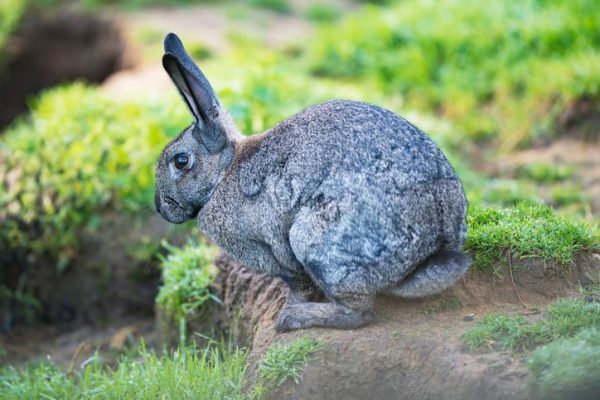 In 1859 an English farmer brought 24 grey rabbits to his new farm in Australia, believing the rabbits would provide a touch of home and provide ample hunting. Within 10 years the rabbits had bred with local rabbits on such a scale that 2 million rabbits were shot and trapped annually without making a noticeable impact on the population. These rabbits have caused serious erosion of soils by overgrazing and burrowing. They are believed to be the most significant perpetrator of species loss in Australia. 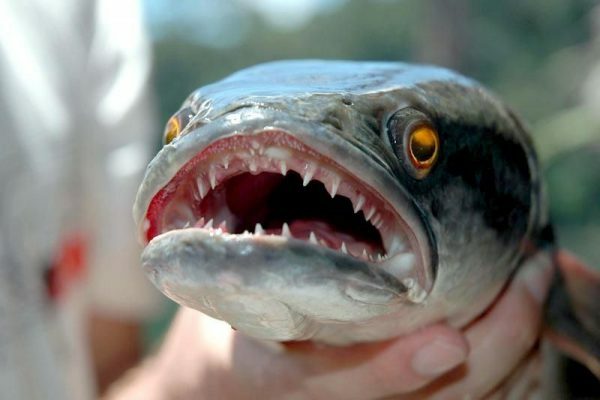 The Snakehead Fish have sharp teeth and an appetite for blood. They can grow to over 3 feet in length and lay up to 75,000 eggs a year. The fish can even survive for up to four days on land while searching for new bodies of water. Their ability to travel has allowed them to decimate food chains from Maine to California. DO YOU NEED CONTINUING EDUCATION TO RENEW YOUR APPLICATOR LICENSE? This entry was posted in Pesticide and tagged Worst Pests.